The skin and dependencies will now be installed, this may take a few minutes. You will be asked if you would like to keep the new skin, select Yes. 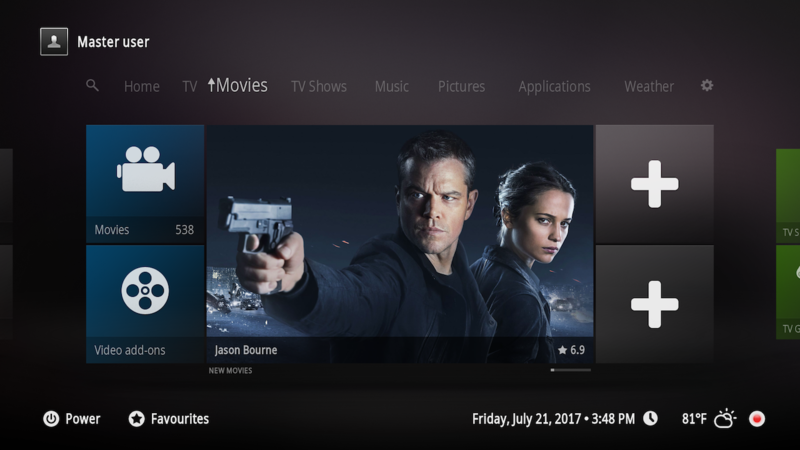 If you can't wait for the official release of the skin for 17.x Krypton in Kodi add-on repository, you can manually install the latest skin revision from GitHub. 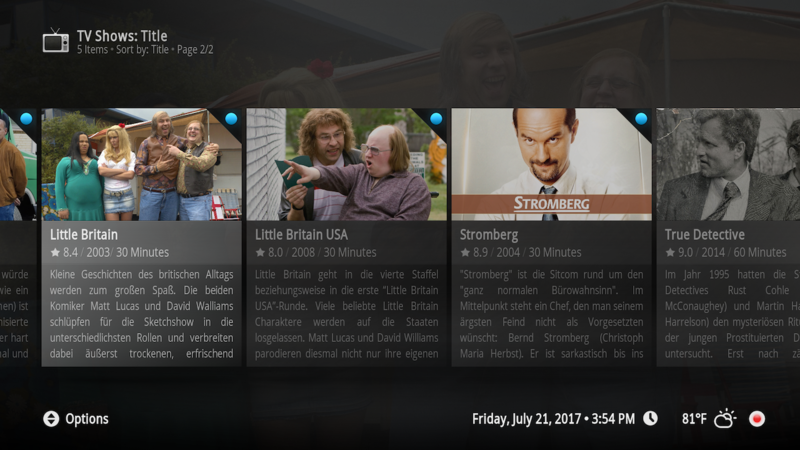 NOTE: The flat theme is only available in the packaged version of Xperience1080 you get from the official Kodi add-on repository. 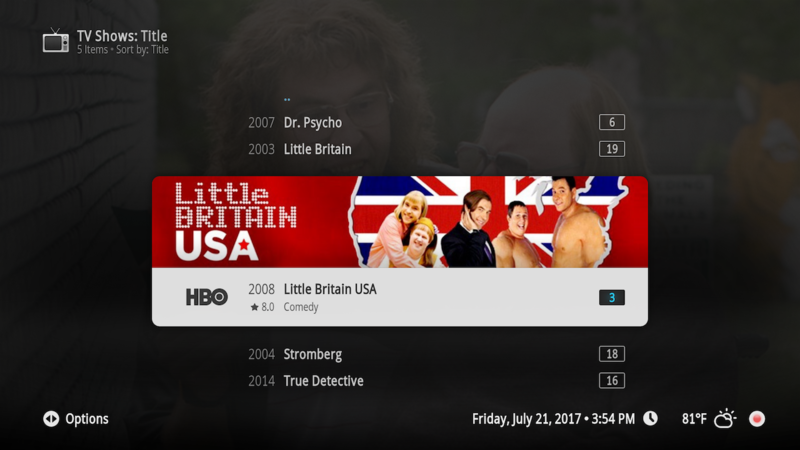 Start Kodi and go to Settings -> Add-ons and select "Install from zip file". Browse for the file downloaded and press "OK". Please use Github if you want to contribute or report issues. I would like to have the ability to press the i key for opening the film informations at the panels (f.ex. "new films" or "new tv shows"). At the moment the i key on the keyboard does nothing and the i key on my tv remote opens the systeminfo menu. 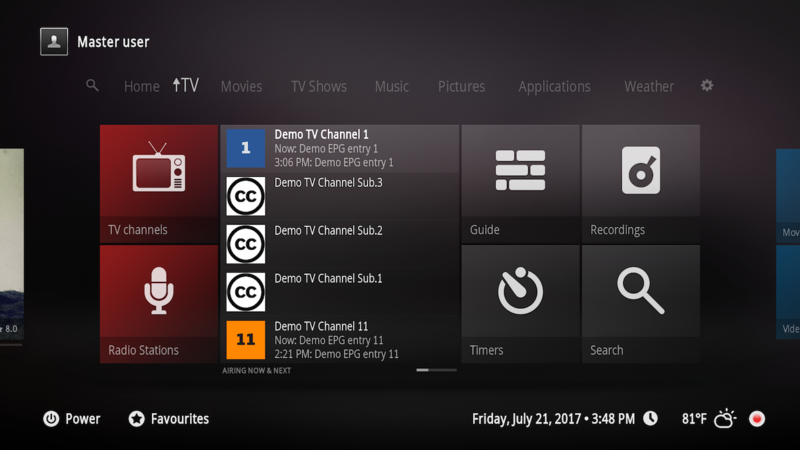 Would you consider PlexBMC integration? 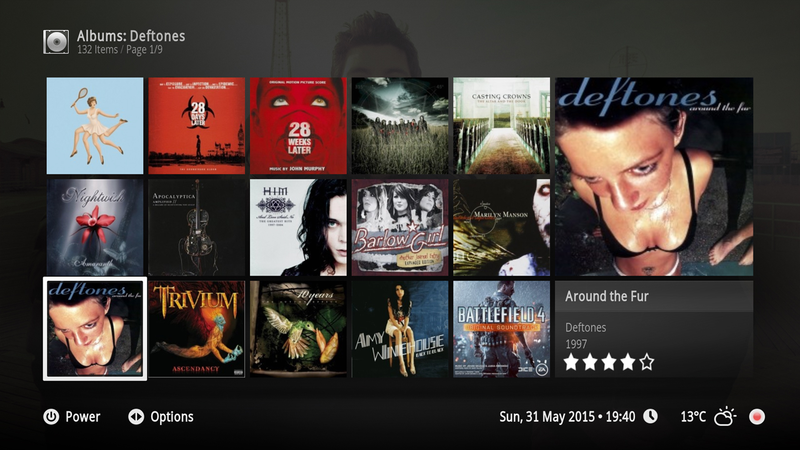 Also, it sounds like RetroPlayer might be included in Kodi 17, do you have any plans for supporting that? (2016-03-09, 05:47)anarchybomb88 Wrote: Would you consider PlexBMC integration? 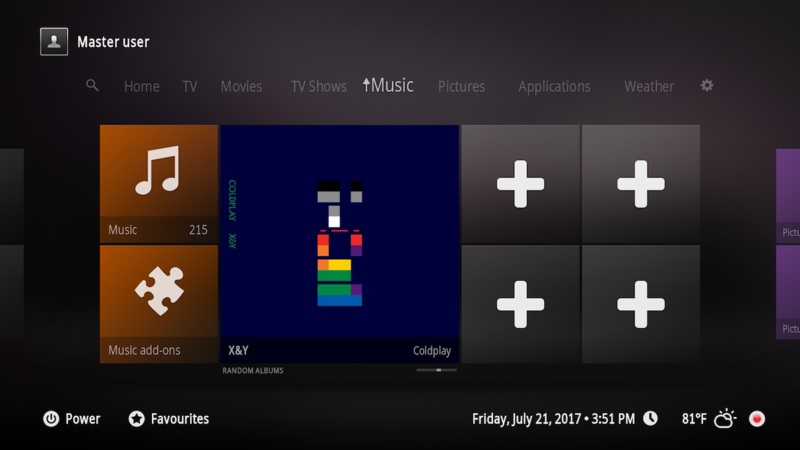 Also, it sounds like RetroPlayer might be included in Kodi 17, do you have any plans for supporting that? First of all thanks for the skin and the Estuary skin. I would like 2 things if possible. 1. A quick fix for the latest changes in master so we can continue using this skin if we test latest - e.g. The dialog popup has changed, I have done a quick hack to allow me to use it. 2. 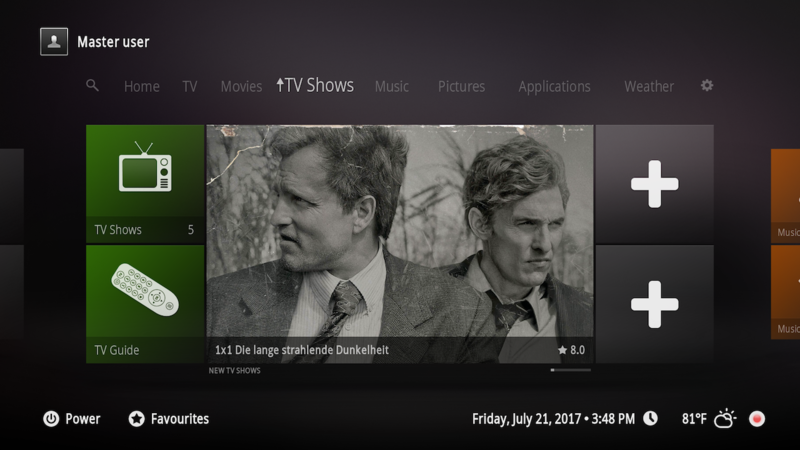 Some VideoOSD changes to be more similar to Estuary, its great having the text on how to review/fast forward (for my misses) as well as having quick access to the subtitles. 2. That will not be changing. (2016-03-16, 22:07)xxxnelly Wrote: No Krypton. There is currently no K version available for testing. (2016-03-17, 20:20)xxxnelly Wrote: I use the following..
2. Add Red Recording icon on the info bar - when in Live TV mode. 3. Add View Option "Logo" from skin AEON NOX 5: Redux. It's VERY cool. Love Your work, I would like to see more use of logo.png and clearart.png for movies and TV-Shows. 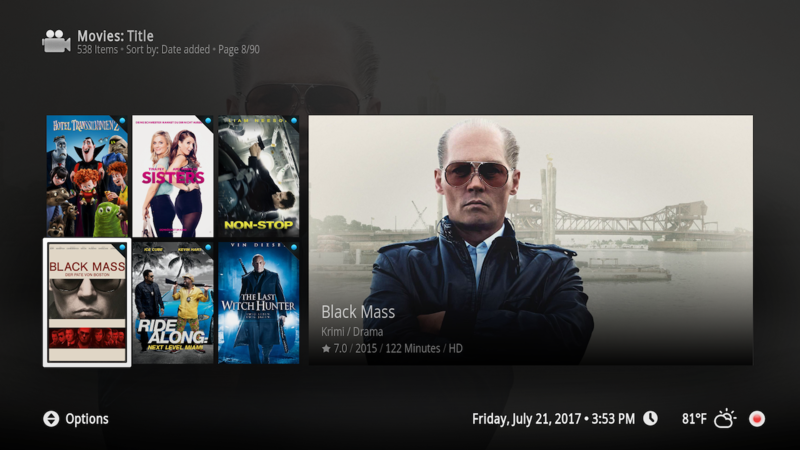 I'd love to see cinemavision support!